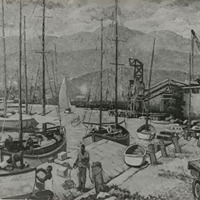 The harbour at Port Royal as depicted by renowned Jamaican painter, Albert Huie. 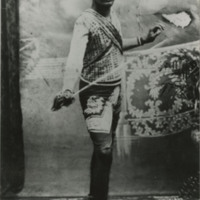 A dancer of Indian descent dressed in a traditional Indian folk outfit, poses for a photograph. 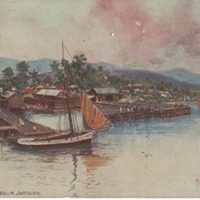 A painting on a postcard of the Kingston Harbour in Jamaica showing several small buildings and boats at sea. 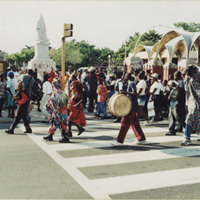 A jonkonnu parade marching by the St. William Grant Park in Parade, Kingston. 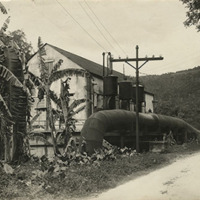 A section of the Bog Walk hydraulic station (also known as the Bog Walk Hydro-Station. 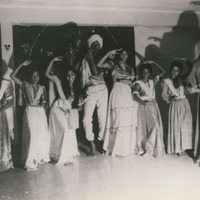 East Indian youngsters showing a traditional Indian dance move. 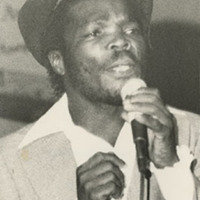 Jamaica song-writer and reggae artiste, Eric Donaldson. 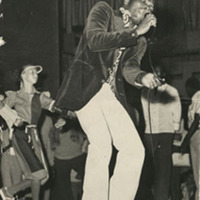 Photograph of musician, Eric Donaldson, during a live performance. 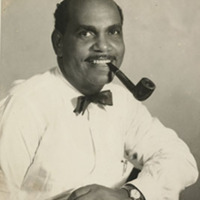 Portrait of Eric Coverley, husband of Louise Bennett-Coverley, grinning with a pipe in his mouth. 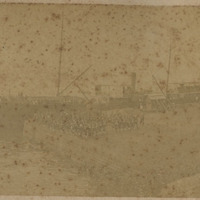 West India Regiment marching at the dock on their way to the Tambi expedition in 1892. 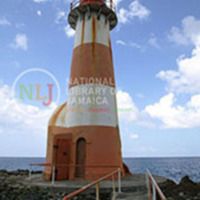 View of the lighthouse at Folly Point in Portland, Jamaica. The fire proof lighthouse was built in 1888.